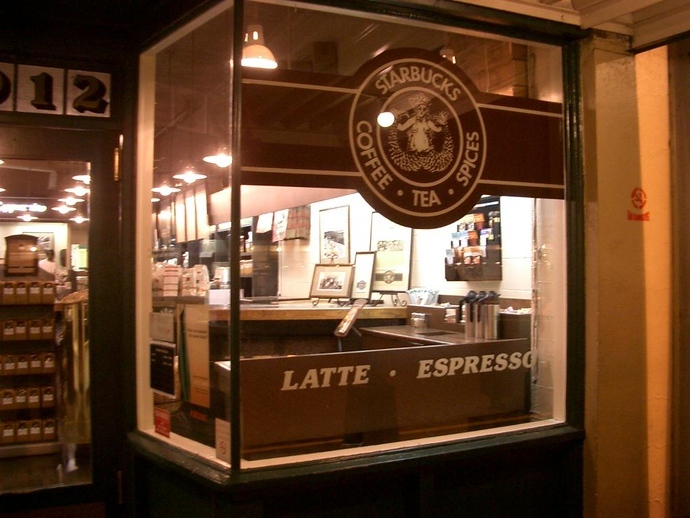 Although I didn’t know it was at the time, this grainy photo of the original Starbucks is one of the worst, but first, from before foXnoMad was even a concept. For some reason taking a picture of every Starbucks I came across (and/or Bill Gates) became a personal photographic scavenger hunt. Across from the Pike Place Market, I noticed an odd Starbucks, with the wrong logo and colors. Shutter, click, snap. It wasn’t until seeing another picture of it years later did I realize this was the first Starbucks. In terms of multinational coffeehouse sightseeing, I had taken a picture of the Great Pyramids without knowing it. The first Starbucks opened on March 31, 1971, but didn’t sell coffee to drink, but the beans themselves. Obviously things worked out from there since old or new, there always seems to be a line out the door.